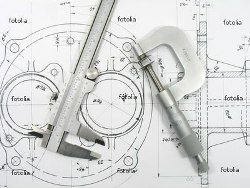 Mechanical engineering is termed as the mother branch of engineering. It is one of the evergreen branch provides limitless opportunities. Mechanical engineers needs to deal with many interesting concepts such as fluid mechanics, robotics, thermodynamics and many more. Each and every industries and production organizations need to appoint mechanical engineers so as to carry on the jobs flawlessly and efficiently. Those persons who are involved in jobs can also afford to be mechanical engineer under distance education. It is such that the individual need not attend classes rather study from home and can continue with job and study simultaneously. It can be assured that being a mechanical engineer, it is much unlikely that he will not be absorbed in any organization. One can undoubtedly take mechanical engineering as his career as demands of skilled mechanical engineers are increasing at a good pace. NIMT - Neptune Institute of Management and Technology offer Bachelor Program in Mechanical Engineering through Distance Education mode.